Welcome to the new GSD Events Online…. GSD Events Online has undergone a complete redesign in both look and content. The same information that you have come to expect is still available with new additions that are still free to view. We have grown to include information on over 37,740 dogs! To make the site even more valuable new information has been added to a members only section. In addition to more events, new information regarding rules, education and judge’s listings from the SV and WUSV are now available to help keep competitors up to date on the latest rules governing the sport. Due to the time and amount of new data that has been added to the site, a membership subscription is now available. This is a yearly membership for $36 which provides access to Trial Results, Breed Survey Results, Critiques and events held prior to 2009 that are in the database. To learn more about what is included in a membership Click Here to learn more and join. 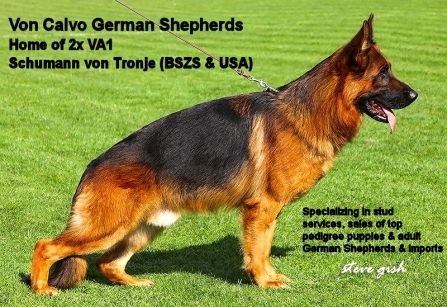 Online Entry Forms – Automated online entry forms are offered for SV style Conformation Shows, Breed Surveys and Trials. Forms are easily configured for an individual events’ specifics in regards to club, location, judges and classes/titles being offered. Click Here to learn more on how to use them. Check or upload documents for your dog at any time. You can use this screen to view any documents already on file for your dog. If any are missing, you can submit them at any time, and they will be available when you use the online entry form for any event using the associated online entry form. Click Here to check or upload documents. 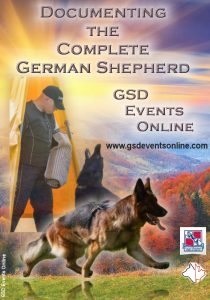 Advertising Flyers – GSD Events Online is pleased to be able to offer another way to help you promote your events, stud dogs or litter announcements. We can now create promotional flyers that contain your pictures and text on an attractive background with an eye catching layout. Everyone is always looking for a new way to capture the attention of their audience and these types of flyers do exactly that. You will receive both a high resolution .jpeg image and .pdf file. Experience has shown that posts get more looks and likes when an attractive picture is attached. Click Here to learn how. If you would like to keep seeing the information offered on this site, with new information being added on a regular basis, please consider becoming a Site Sponsor. With the addition of the Trial and Breed Survey results, the time and cost to keep the site up and running has increased. A site sponsor can have a graphic with a link to either a website, Facebook page or Facebook group appear here on the Home page. The cost to sponsor is $50 for a 12 month period. The site has always gotten good traffic and we expect that to increase with the addition of the new information. If you would like to become a Site Sponsor Click Here. We hope you enjoy the new look and data on the site, be sure to check out all of the menu options, and come back often.